Crafter's Companion has a Christmas/Winter challenge going on this month and I couldn't wait to join in. I was inspired to make this particular card after I saw the awesome sketch today at Sunday Stamps. 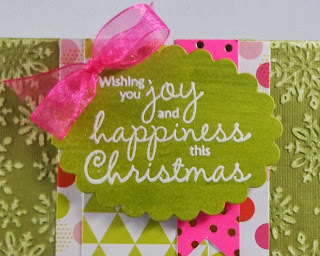 My friend, Jessica has a Non-Traditional Color Christmas Challenge at Sketches4all that I thought I would play on too. 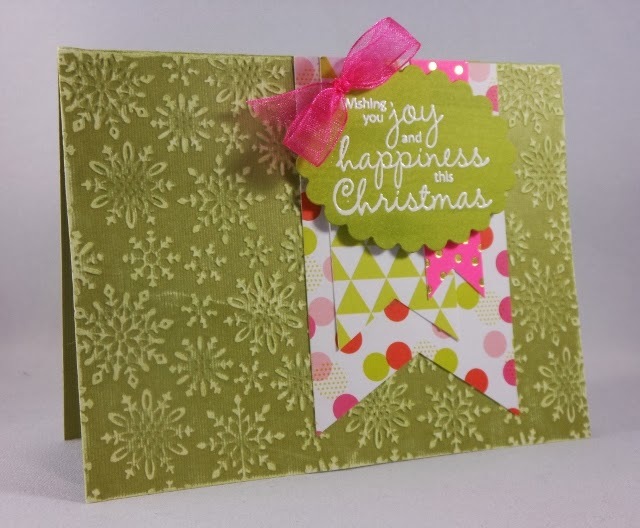 To start I pulled out some fun green cardstock and my 6" X 6" Embossalicious Embossing Folder - Let it Snow. I embossed the top of the base card in my eBosser. Then I grabbed some sand paper and sanded the top to help show the beautiful snowflake design. I pulled out the Stamp-It Twinkle EZMount Stamp Set - Joy & Spirit. 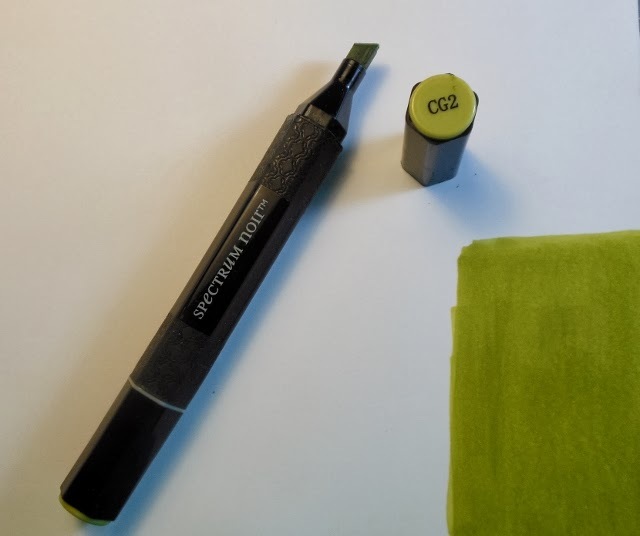 Then I grabbed a piece of Ultra Smooth Premium White Cardstock and my Spectrum Noir pen in CG2. I colored a area on the paper and then I stamped out my sentiment with Tsukineko VersaMark ink. 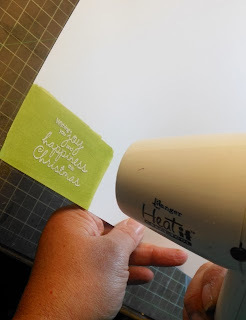 I sprinkled on some opaque white embossing powder and then heat embossed it. I die cut the sentiment out and now have custom colored topper! LOVE it! I added it onto papers that I layered on the card base. It needed a little something more so I pulled out my Ultimate Tool and made a sweet little hot pink bow to add. Easy peasy! 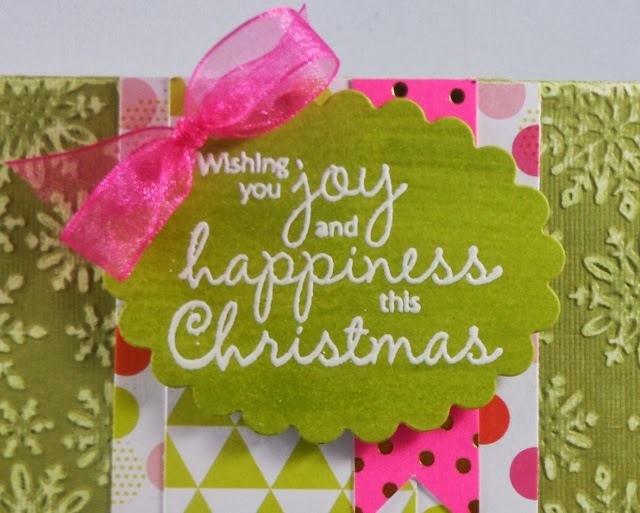 That embossed background is fabulous and I love that you used non-traditional colours for a Christmas card! Thanks so much for joining us at Sunday Stamps! I too like your use of non-traditional Christmas colors. Really cute card! Thanks for playing along with us at Sunday Stamps! I really love how you coloured white paper and then embossed over top of it. I'm going to give that a try... I really like the look of it! Thanks for inspiring me and for playing along with us at Sunday Stamps! LOVE non traditional colours for this card :) Thanks so much for playing along with us at Sunday Stamps, we sure hope to see you back again soon!!! A Launch and a Sneak!